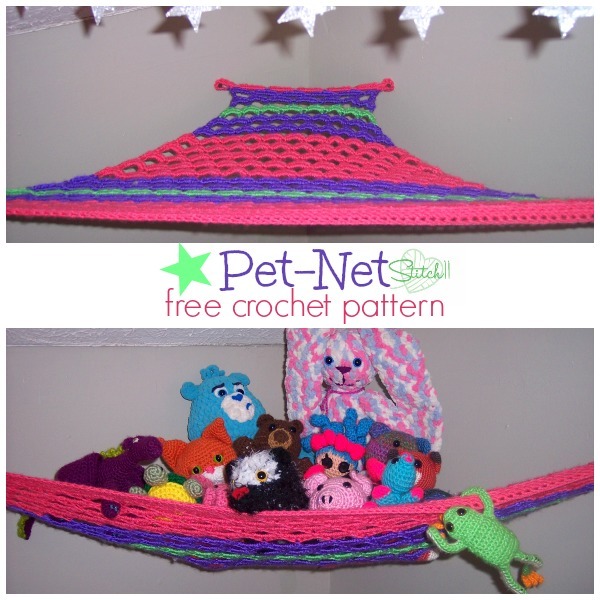 Be sure to read all the notes (at the beginning and end of the pattern) before starting your Pet-Net! STOP! This pattern has been updated and perfected – View BEST version HERE! -Note- If you want to adjust the size, make your starting FSC in counts of 5 +1. -Note- If you cannot do the FSC, you can make a CH of 122, turn, skip one CH, SC into next 121 CH. You may want to use a size larger hook just for your CH. 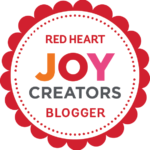 -Note- You can change colors before any odd numbered row (the rows with chains) to make whatever color pattern your heart desires. -Note- If/when you change colors, attach the yarn into the center HDC instead of slip stitching to it. – CH 1, turn. 6 SC into CH loop. Slip stitch into SC. **5 HDC into CH space. Slip stitch into next SC. Repeat from ** 4 more times. 6 SC into CH loop. Slip stitch into same loop. –Finish off and weave in your ends. -Note- When hanging mine, I used drywall screws. You should use whatever you feel is best for your walls. I am not an expert on hanging things. >.< Make sure you hang the net tight. Once you have stuffed animals in it, it will stretch. After hanging mine up, I measured it 4 feet wide, and 2 feet deep from the corner. -Note- If the sides are not strong enough to keep your animals from falling, You can attach the center set of HDC on both sides to the wall as well. This will eliminate the issue. **Edited** <- I now know that when you buy them from the store, they actually attach them on the sides as well. Doing the rows 7 and 8. You say 17 times is that counting the rows separately or as a set? Is it meant to look like a triangle? Also it covers my lap when sitting down, is that the when it’s empty and not hanging? Thanks. Yeas it is since it hangs in the corner. When I make another one, I will be editing the pattern to hang on the wall on the center of both sides. But with this one, you can still hang it on the center of both sides but just through the net.